We all know someone whose animal is their baby. They take their dog everywhere they go and treat them just like little humans. Well, this dog sweater is the perfect gift to show you care about them as much as they care about their dog. 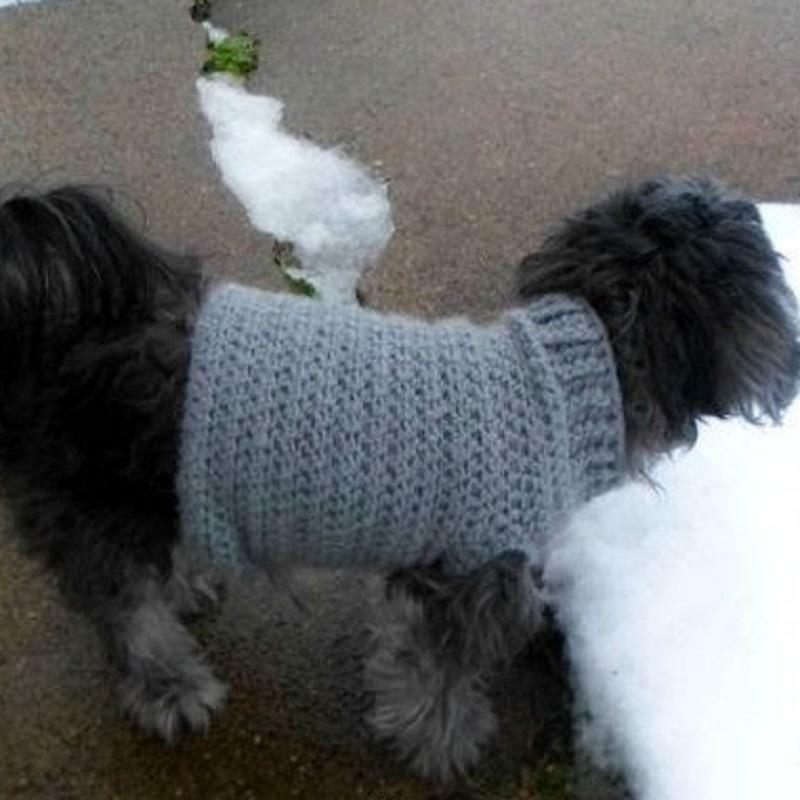 It will keep their pooch warm this winter and it will look adorable too. You can make this pretty quickly, just in time for that dinner they invited you to! This is the perfect hat for couples in your life. 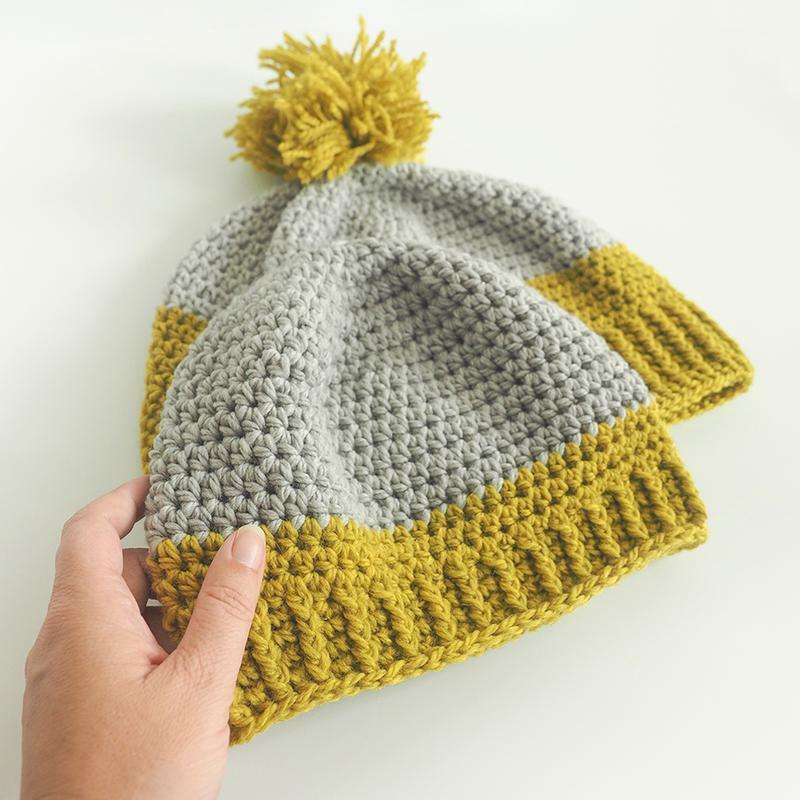 This hat is unisex and comes in a goldenrod and grey color scheme. It’s a winter basic made out of a woolstok yarn. It’s sure to keep anyone warm, and it’s always fun to match with someone. This hat would make a fun gift set for the loved ones in your life. And it works up quickly. You can have two made in no time. Or make some for your children’s teachers. They’ll love that you thought of them! This is a really straightforward gift. Everyone washes dishes, so these dishcloths are necessary and thoughtful. 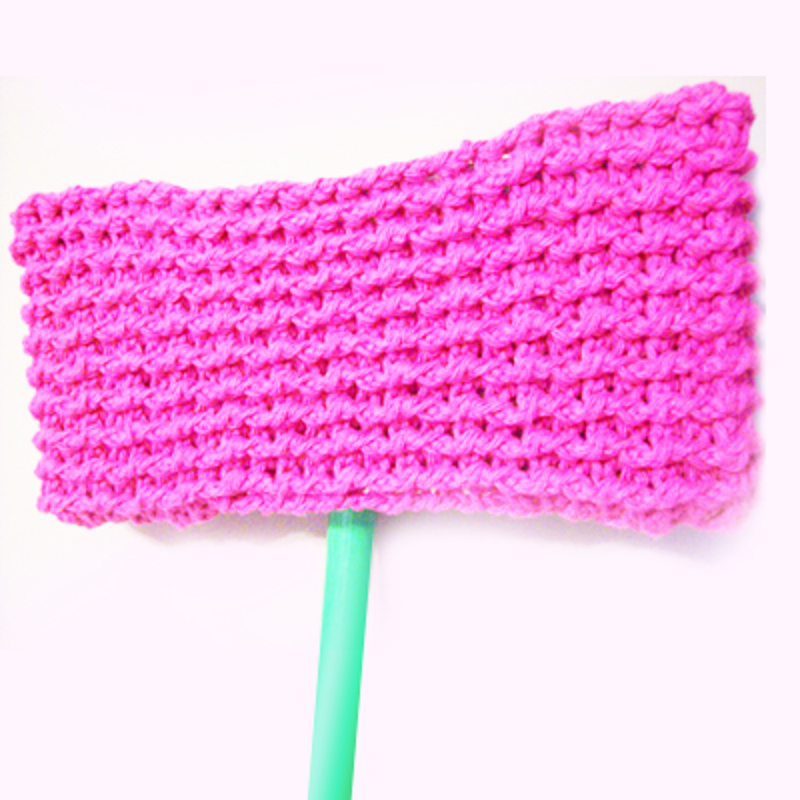 Just grab some scrap yarn and whip a bunch of these up in no time. 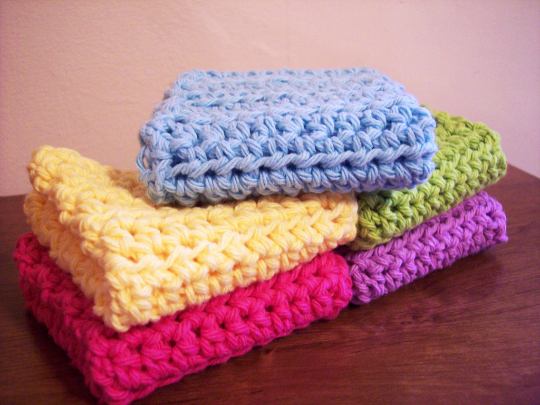 Based on your yarn choice, they could even be washcloths. These are really sturdy and tough on scraps. Perfect for cleaning. Add these to a practical gift set for your neighbors. It’s a gift you know they’ll get use out of. Using a swiffer is so much easier than a regular broom or mop. But it’s bad for the environment. All of those swiffer pads that get thrown out after a use or two really add up. If you want to do a favor for yourself and the environment, make a couple of these reusable swiffer covers. You swiffer like normal and then throw them in the wash with your laundry after. It prevents build up in the landfills and it makes a super gift. This is the perfect gift to hang in a child’s bedroom. 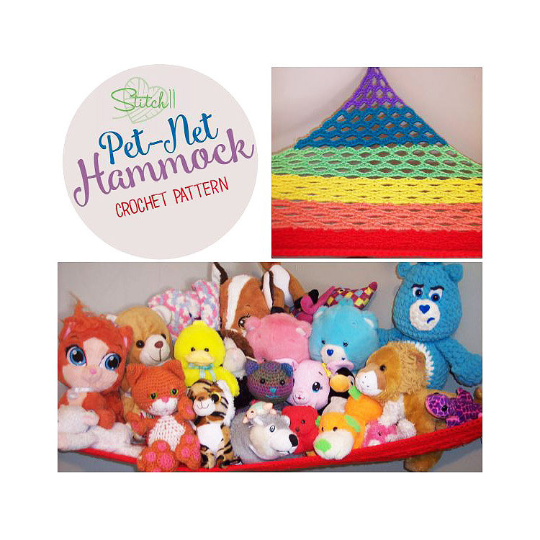 It can be used to store stuffed animals and toys out of the way and is made in fun rainbow colors. It’s a really fast crochet project. You can make a bunch of these for your grandkids or make some for a children’s charity in your area. 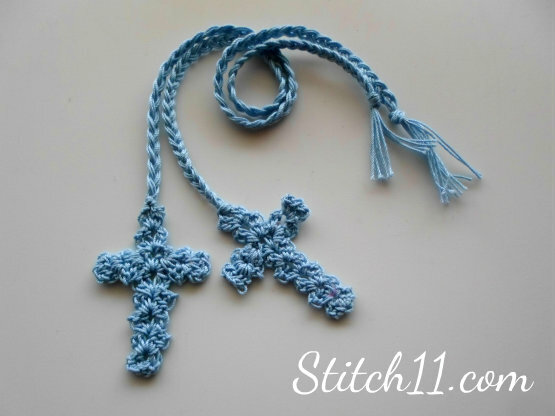 This pattern was inspired by a cross bangle pattern and turned into a beautiful bookmark. These would make a unique and special stocking stuffer for those in your family who read a lot. These are really easy and can be made in multiple colors for multiple people. These are special gifts for special individuals. Pick up your hook and start making some today. 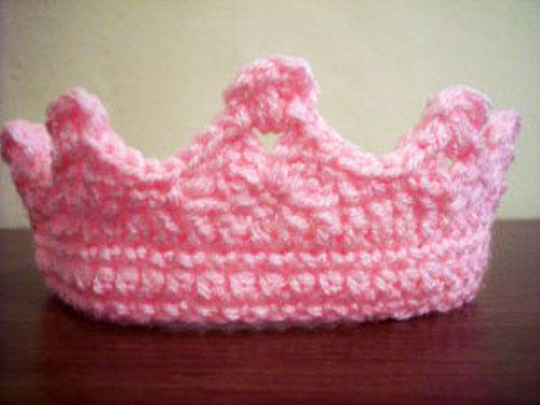 If you’re looking for a fun project for a children’s charity in your area or for the children in your grandchild’s class, check out this princess crown. This is a really easy, fun pattern. You can make a lot in a short amount of time which makes it a great group gift. This would even make a good party favor for a children’s birthday party. Stitch one up for your imaginative little ones this holiday season. 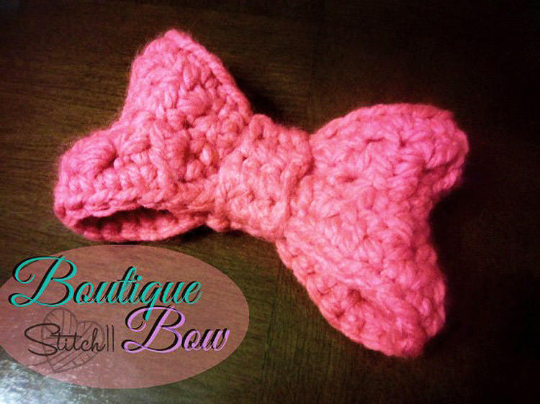 This bow is based on Minnie Mouse’s famous bow. It’s an easy pattern, and your little ones will love wearing it around. You can attach it onto headbands and sweaters and hats. It can be a great little accent to anything you make. This project goes by really fast, so go ahead and make a few of them for the ones you love. One of the worst parts about winter is having to drive before your car heats up. Your hands always end up freezing. 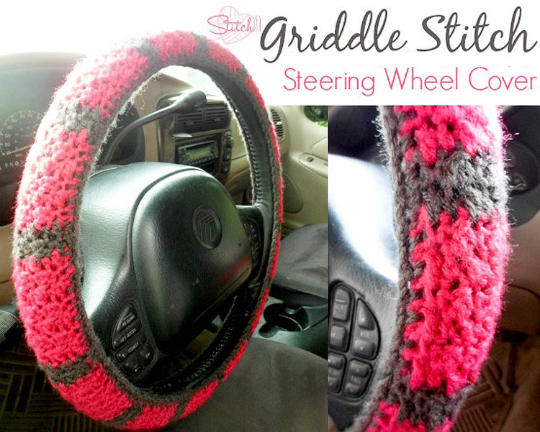 That’s why this crochet steering wheel cover would make a great present for some of your friends. It adds warmth and coziness to their driving experience and it’s a really fast project. This is thoughtful and easy to make, and a unique present idea. This is an adorable little decorative item. You can make a bunch for your niece’s tea party. Or you can make one for a holiday centerpiece. 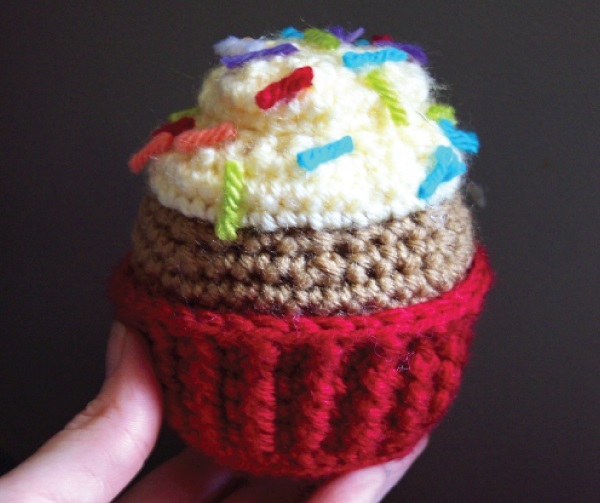 This pattern is so fun and the end result looks sweet enough to eat. Make these in holiday colors or to look like your favorite sweet treat. It takes no time at all. This is a great and easy way to clean leftovers off pans and dishes. They take virtually no time to make, and everyone could use a set. 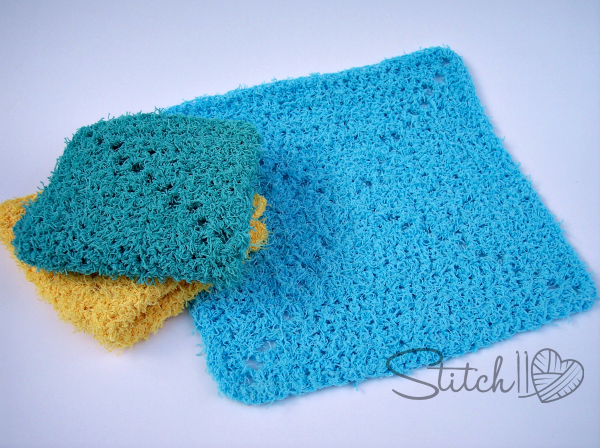 The textured yarn the pattern calls for, gives this dishcloth the exfoliating texture it needs to clean away grime. You could even make one to clean your shower. This little dishcloth is durable and practical. Something we all need. 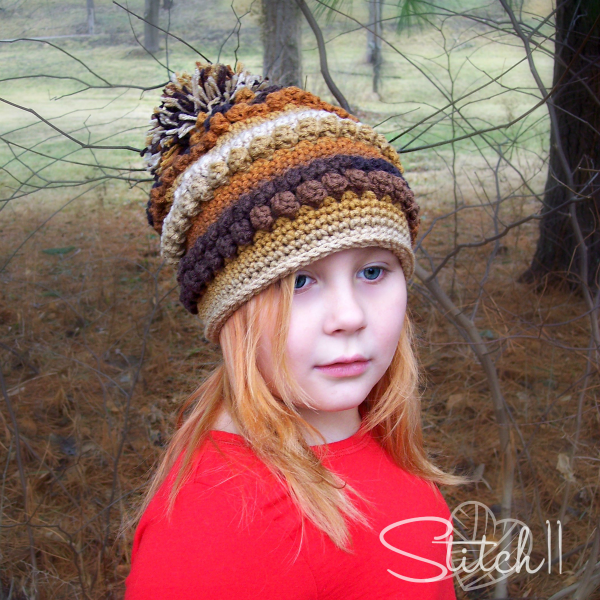 If you love texture, this hat is perfect for you. It combines a series of different stitches into a unique and interesting hat. It fits children and small adults and is perfect for warm weather. Go ahead and make one of these beautiful hats for yourself and a couple more for loved ones. There are so many important people in our lives that we want to show we care. It can be hard to find the time and money to do as much as we want for the ones we love. With these small and easy gifts, you can make a little something for everyone without feeling overwhelmed. Enjoy the holidays the way you want without the stress.